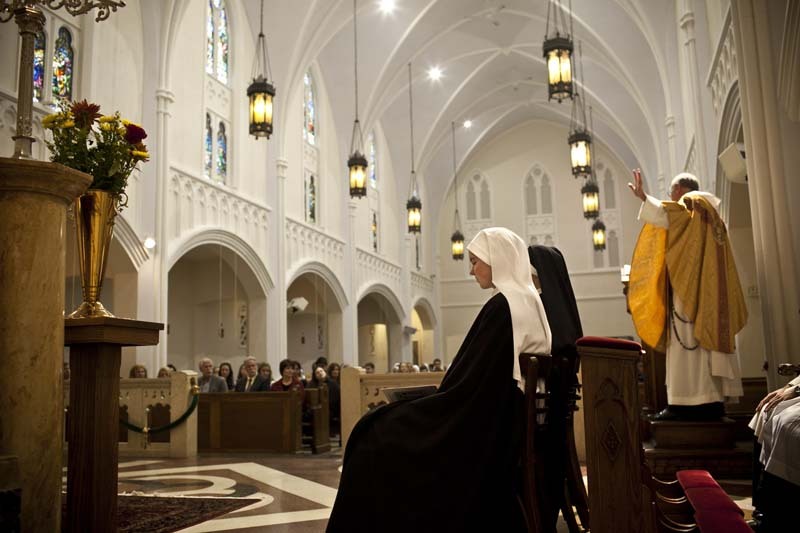 Father John Vidmar conducts 24-year-old Sister Maria Teresa's First Profession ceremony. Over 80 guests, including her family, attend this first of two ritual ceremonies that will seal her commitment to God. Her Final Profession will happen roughly three years later.